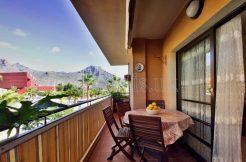 Tenerife expects “excellent” British and summer market prospects despite the Brexit, which would close 2016 with more than two million Brits housed and consolidate the growth of 20 percent recorded so far year 2016. 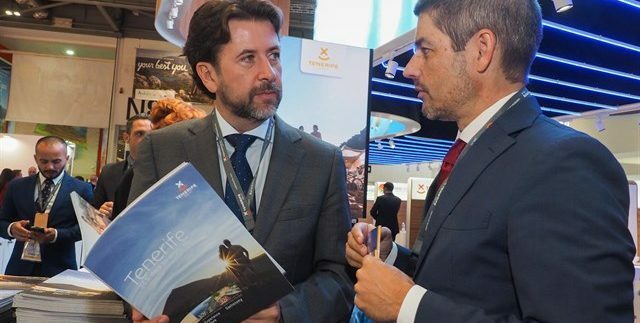 This was stated at a press conference the president of the Cabildo, Carlos Alonso, in which he appeared together with the island’s tourism adviser, Alberto Bernabé, to present the tourist prospects for the British market after the World Travel Market 2016 ( WTM) event in London last week. Carlos Alonso said that the indicators for the next summer season also “very good”, with a growth of 22.5 percent of airplaces from the United Kingdom, which is expected to also increase by 20 percent. In addition, five new air connections with the United Kingdom will be added to the market in the coming season, with Manchester (Vueling), Birminghan (Vueling), Manchester (Norwegian), Newcastle (Ryanair) and Belfast (Ryanair); Which will allow to increase the competition and to mitigate the possible increase of prices. 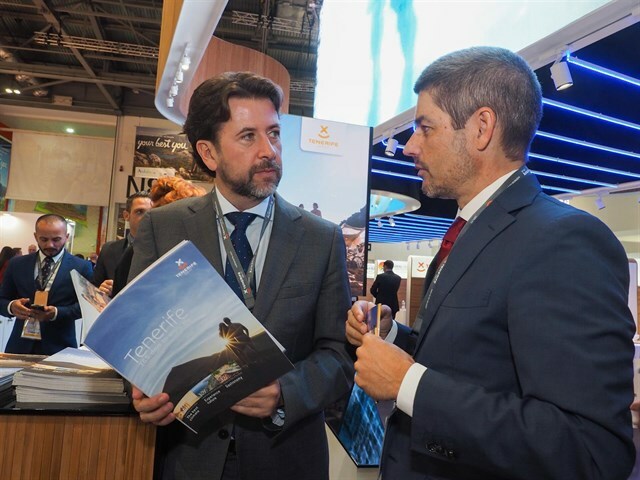 Carlos Alonso also indicated that during WTM there have also been contacts with tour operators working with other markets to take advantage of this boom period and to define a joint promotion strategy in markets where the island has less presence, such as Italy, France or Poland. Regarding Brexit, the president pointed out that although its effects are still not clearly defined, it has been proven that new British tourists have emerged, with different purchasing power and are introducing more spending on the destination. In this sense, he said that the British market leaves on the island annual revenues in excess of 1,382 million euros and the expected tourist volume for this year would generate an income for the island of more than 2.4 billion euros. Alberto Bernabé detailed that from January to September 2016 a total of 1,553,282 Britons were housed on Tenerife, which means a growth of 20 percent. To this figure should be added those tourists who decide to stay in friends’ houses, holiday homes or other modalities, and not in hotels or apartments. For the advisor, it is “a magic figure because it reflects a huge increase over a giant market.” In fact, only in April there was an increase of 28.8 percent. In turn, it means that Tenerife is the “number one” winter destination for the British. He also explained that these figures reflect that the British is the number one market for Tenerife. In fact, 44 percent of the Brits coming to the Canary Islands do it to Tenerife, almost one in two, and almost four out of ten tourists coming to the island are British. However, the Cabildo plans to close the year for the first time in history with 2.1 million Britons housed, a figure “overwhelming and dizzy, because it would be as if the entire population of the Canaries chose the same destination,” said Bernabé. This would be 20 per cent more hosted than the previous year, which would be equivalent to about 350,000 new Britons, ie all Germans and Italians coming to Tenerife in a year. On the other hand, this winter season is expected to have more than 1 million air seats and the occupation of the aircraft coming from the United Kingdom is at 97 percent, reason why they arrive “full” and reflects a demand “very Strong “to Tenerife, said Bernabé. As for Brexit, he said the depreciation of the pound – around 15% – is causing a resentment of British spending per person, an effect that is being mitigated by the arrival of new tourists. It is also causing a reduction of the average stay, around 0.4 days. Another effect in the short and medium term will be the increase in flights, as some airlines have already warned. Therefore, the Cabildo will be observant to see if the situation of instability in the Mediterranean area, especially in Turkey, Tunisia or Egypt, has influenced the arrival of new British tourists, which has led tour operators to offer alternative destinations, especially Spanish destinations and Canaries. Therefore, there is a part of these visitors who are ‘borrowed’ and could subsequently choose those destinations again as soon as this situation of instability.